I love the way this quilt turned out…the bits of purple and brown work so well together. The Kaffe Fassett purple polka dot is my favorite print in this quilt. The blocks measure 9″ finished, and the quilt top measures 54″ x 63″. I’ll get a block tutorial written up this weekend…it’s a fun one to make! LOVE it – especially the purple! Your quilt is so pretty I love a good churn dash quilt! I love churn dash too! Your quilt is like a sunny Autumn day, perfect! Love a good churn dash but REALLY LOVE THOSE BABY BUNNIES! Love the quilt…I can almost feel how soft that little bunny is! I really like your churn dash! And, your bunnies are just the cutest! Love your wonderful churn dash with the centers a different color. I need to select fabric. Thanks for sharing the cute bunnies. I would like to make this in your new Wildflowers!! It's at Fat Quarter Shop right now!! yes the amount of fabric needed would be helpful when I buy your wonderful, and oh so pretty fabric. Pretty quilt. Sure do love those bunnies. Reminds me of when my girls were young, (they are in their 40's now!) and we raised bunnies. They are such fun! 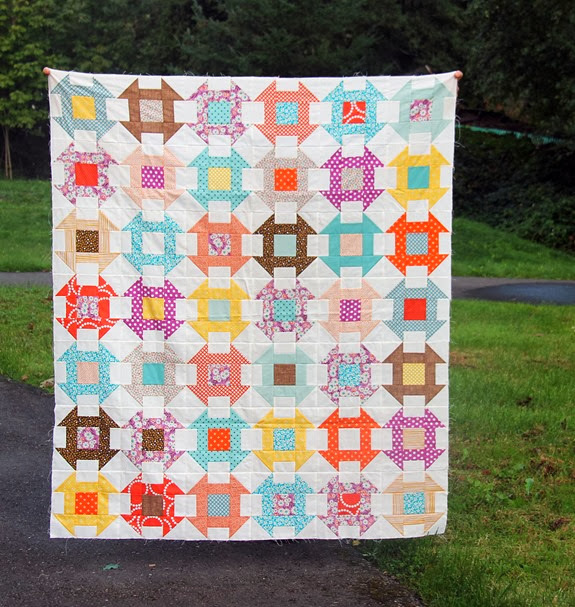 I love the dash churn block and I love your quilt! I just basted a baby quilt using dash churn blocks and am already planning a new one. Your quilt is inpiring me to try out some new color combinations. Wallflowers came to the shop this morning and we are loving on it… Churn Dash is my favorite all time quilt block! I'm sorry, you said something about churning butter with a quilt??? BUNNIES!!!!! That first bunny picture makes me want bunnies, bunnies, bunnies! BTW…I love your quilt and the colors in it! I really like this. Your sprinkle of the brown is perfect. Great color combination. I love that most of the blocks have a print center. And that Kasse dot IS pretty spectacular! Can't stand how cute those bunnies are. So soft and fluffy. I bet they'd love to sleep on your churn dash quilt! I do love me some churn dash! These colors are outstanding. 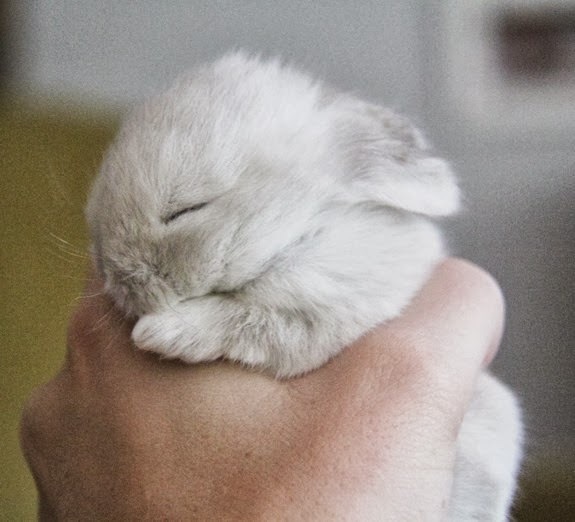 Look at the little bunny….aaawwwe!! look forward to the tutorial as love this quilt. Oh my, that's the most gorgeous bunny ever (the first bunny pic). I'm dying!!! Bunnies! so sweet ~ wish I could have one ~ alas, my three cats would hunt him down. Love love love this quilt and the fabrics you chose. It's really wonderful! Cute quilt. Adorable bunnies! Jealous on both counts. So cute. I love how the yellow pops! Beautiful Quilt top and those Bunnies are just the sweetest. Churn Dash – one of my all time favorites! 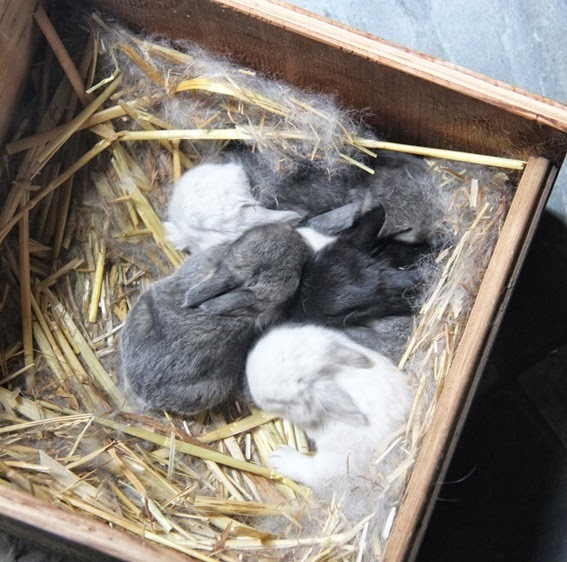 And those bunnies – LOVE! I'm always afraid of brown… I literally have a single piece of brown yardage in my whole stash. But you made it work so well here! The bunnies are so precious! Oh oh oh I LUVVVVV this quilt—my favorite block—gorgeous colors. I can't wait for your tutorial. :) And those bunnies are just too adorable!!! 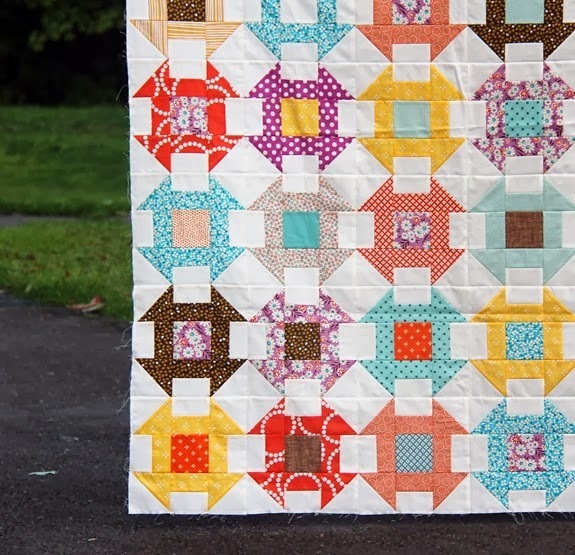 I love the colours you used for this churn dash quilt, and those bunnies are so cute. It's such a beautiful quilt!! Love your quilt. Love those little bunnies, too. If I didn't have a terrier living with me I'd be very tempted but I don't think bunny survival rate is very high when living with a terrier. cute bunnies. we have some about the same size. they had to be dropper fed because our dog killed their mom. and the quilt is quite lovely too! I also like the secondary patterns that the eye creates.